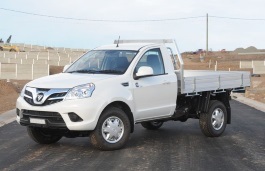 Correct Wheel Sizes, PCD, Offset, Rims and Tire specs for Foton Tunland series. I went to a Foton dealer and all their vehicles had 265/60/17 wheels. 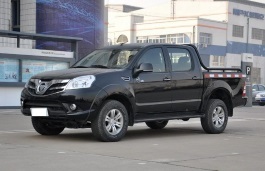 Hi,Daryl Carter,The stock tire size for new Foton tunland is 245/70/16,So 265/60/17 is compatible. Would 285 fit on stock? Hi,Brent Lee,The stock wheel size is 16*7 ,bolt pattern is 6*139.7 ,ET 30 .tire size 245/70/16.